Will Congress Fund Iron Dome Over Head Start? More than 13,000 delegates to the annual policy conference of the American Israel Public Affairs Committee (AIPAC) descended on Washington this week. AIPAC, a lobby organization with no equal in American politics, had assembled its usual list of high-profile political leaders to address the delegates. US President Barak Obama was not among the speakers. He had a good excuse. The president is up to his neck in what Washington calls,”sequestration”, a federal budget agreement that will bring pain to American citizens. AIPAC does not want that pain to involve anything related to Israel’s “security”. 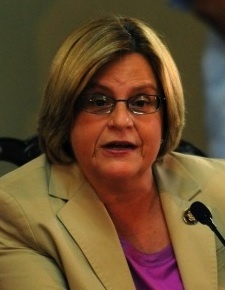 And so it came to pass that two pro-Israel Florida lawmakers — Reps. Ileana Ros-Lehtinen (shown above), a Republican, and Ted Deutch, a Democrat — introduced a bill in the House of Representatives just in time for delegates to deliver copies of the bill to congressional offices during AIPAC’s Washington lobby week. The legislation enshrines much that is already in existence, including $3.1 billion in annual defense assistance to Israel and missile cooperation programs. But the redundancy is precisely the point. At a time when the president and Congress are considering how best to distribute across-the-board 8.5 percent spending cuts, AIPAC wants Congress to keep its funding for Israel as is. To counter the influx of pro-Israel lobbyists attending AIPAC’s annual conference, a much smaller number of people organized by the U.S. Campaign to End the Israeli Occupation and Code Pink will visit members of Congress with a simple message: “If you aren’t saving Head Start, don’t save Iron Dome”. Head Start is “a federal program that promotes the school readiness of children ages birth to five from low-income families by enhancing their cognitive, social, and emotional development”. It has a proven track record of support for preschool children. The Iron Dome is a military project designed to make Israel invulnerable to air attacks. It is touted as highly successful. Richard Silverstein begs to differ in his posting, “Iron Dome System Failed Miserably”. End the Occupation and CodePink are part of a coalition of groups that organized Expose AIPAC, an umbrella organization that conducted a series of events, prior to, and during, the AIPAC conference, starting with a day of workshops on Saturday, which concluded with a keynote address by Phyllis Bennis, a fellow at the Institute for Policy Studies and writer for The Nation. Other speakers at Expose AIPAC included Palestinian human-rights lawyer Jonathan Kuttab and Robert Naiman, policy director at Just Foreign Policy. “will result in 100,000 fewer low-income children being prepared for school through Head Start, 17 million fewer “Meals-on-Wheels” delivered to seniors suffering from food insecurity, and 1.6 million fewer unemployed Americans served through job training, education, and employment services”. 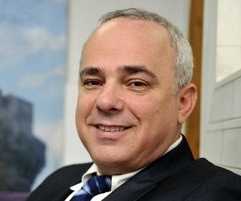 Israel is concerned that the broad US budget cuts that went into effect Friday evening [March 1] will affect the economy, [Israeli] Finance Minister Yuval Steinitz (pictured here) said at Sunday’s weekly cabinet meeting. “The economic difficulties in the United States worry us. The across-the-board budget cuts, known as sequestration, are expected to have negative repercussions for the US economy as a whole, and could potentially cut military aid to Israel and defense cooperation on programs such as the Arrow and David’s Sling missile defense systems. The threat of such wide-ranging cuts was originally intended to force a fiscal agreement between Democrats and Republicans, but failed to produce results. I hope that we will not be hurt by them,” he said. The exact implications of the cuts affecting Israel remain unknown, because the specifics of how each agency will cut its budget have yet to be spelled out.. . . the total could be as high as $729 million for the year, though sources on Capitol Hill estimated that military aid cuts would be about $85m. The proposed House bill which would designate Israel as a “major strategic ally”, elevates the “new alliance” to a status intended to help Israel retain its promised financial aid. a push to provide Israel with its full $3.1 billion in military aid for 2013 and 2014, as well as $211m. in additional funding for the Iron Dome missile-defense system. Israel stands to lose approximately $250 million of its $3.1 billion military aid package from the United States under the terms of the sequestration. The Jewish Week calls AIPAC’s gambit to exempt these cuts a “very risky strategy at a time when millions of Americans will be feeling the bite of the sequestration debacle,” which “could easily backfire and damage Israel far more than any cuts in its very generous grant aid program”. Is the US Congress so beholden to AIPAC and so insensitive to the impact on programs like Head Start for children, that it will give Israel’s self-designated “defensive needs” priority over US domestic needs? 18 Responses to Will Congress Fund Iron Dome Over Head Start? Our Congress cares more about keeping aid to israel than cutting vital programs for the American people. AIPAC funds the political campaigns of congresspeople, and that’s the bottom line. It’s all about money. Our political system is corrupted by this money that buys our Representatives. It needs to be changed, if there is to be any real democracy in our nation. Nevertheless, we must flood our Reps with calls and emails, telling them to oppose aid to israel, and to fund aid for America. We must also ask them to vote “No” to the two “backdoor to war” with Iran amendments, SR 65, and HR 650, which AIPAC is also demanding. Tell these Reps that we are tired of Israel Firsters running our mideast policy, and of their loyalty to Israel. Tell them they don’t belong in our government when they put Israel’s interest first. Tell them that’s called treason. Enough is enough. No use mincing words anymore this has been going on for decades. It’s called Chutzpah. Our well-being trumps the well-being of any other entity you can imagine. We are special. Our special relationship with you must ensure that your sacrifice is NOT our sacrifice. Our needs for security trump anyone else’s needs or requirements. How long will we stand for it? Allow it? Perpetuate it? Will it NEVER end? It is a given that our Imperial US Senate and the House of Reprehensibles work for Israel. First. There will be no “cuts” made to Israeli entitlements. Pony up America, Israel needs your hard earned cash. Well and your childrens blood. Thanks, Jim, for exposing AIPAC’s and Israel’s X-treme Chutzpah. It is outrageous for treasonous “Israel Firsters” in AIPAC and Congress to “Force-elevate” and “False-label” Israel, as a “Major Strategic Ally”. Israel’s spin masters’ objective is to prevent the US budget cuts from touching Israeli “occupation”, Israeli “Apartheid”, Israeli “expansion”, and Israeli “Nuclear arsenal”, while inflicting major pain on the livelihoods of mainstream American families. I remember that only a few years ago, Netanyahu solemnly “vowed” – Yes, “VOWED” – that Israel was doing so well economically that it would very soon reach a position of not needing any more US aid whatsoever. What happened to this “vow”, and where are our media pundits to point it out? Where is our media’s stuttering vocabulary hiding? The Israeli economy has prospered and bloomed – thanks largely to unprecedented American assistance. So, what is the rationale of continuing aid to Israel? Before the creation of Israel, ALL Arab country – people and rulers – were hugely Pro-American (and against British-French-Italian Colonialism). However, since its creation on the Palestinian Homeland in 1948, with unprecedented US and British assistance, the Arab World started to gradually resent American foreign policy that has not yet been able to help create a Palestinian State on 22% of what was Palestine. Surrogates of AIPAC asking our congressmen to exempt Israel from the sequester cuts is sickeningly audacious. Israel is a rich country, whose GDP per capita earnings are 185 percent above the world average, and whose unemployment rate is below that of the U.S. It has no need of our foreign assistance; it just sings the tune of “security” to persuade our gullible congressmen to fork over more of taxpayers’ hard-earned money (about eight million a day). It’s time our lilly-livered representatives started caring more about America and less about their campaign money. Everyone knows the answer: The Land of Jesus gets guns from the U.S. government at the expense of American children, who get dung or whatever is left over.